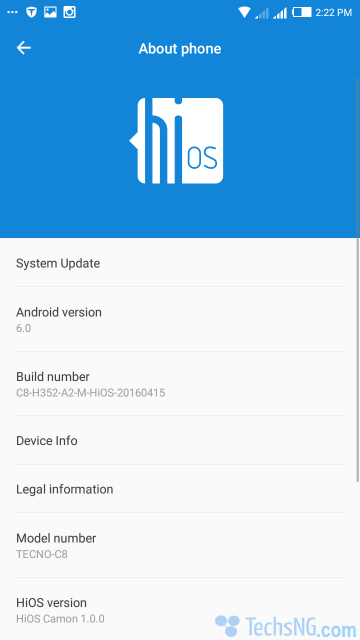 When Tecno recently launched the W4 which is it’s first smartphone to run android 6.0 marshmallow OS out of the box, I knew android 6.0 marshmallow wasn’t far from arriving on other speculated tecno devices. The Tecno Camon C8 apart from the Phantom 5, was perhaps, one of the best phones launched by the brand in 2015. The device was also one of the top selling smartphones in 2015 and it’s major selling point is the camera. We even did a camera comparison of the Camon C8 and the iPhone 6 to get some facts right. 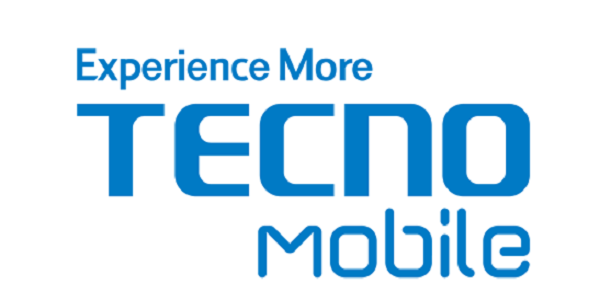 Before now, there were speculations that the Tecno Camon C8 will be getting android marshmallow OS update and although it was expected in February, it’s better late than never as the upgrade has finally come to limelight on the camon c8 smartphone. Here, we’d like to guide you through how to upgrade your Tecno Camon C8 phone to android 6.0 marshmallow using the SD card method. First, please make sure your android phone isn’t rooted. If it is, kindly unroot it before proceeding with the steps below to avoid bricking which could in-turn, lead to stories that touch. 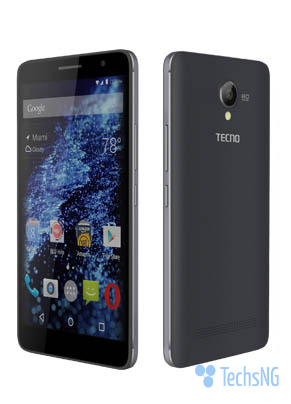 ==>Download the Android Marshmallow update for Tecno Camon C8 Here (868MB) and save it to the root directory of your SD Card which should be placed inside the phone. 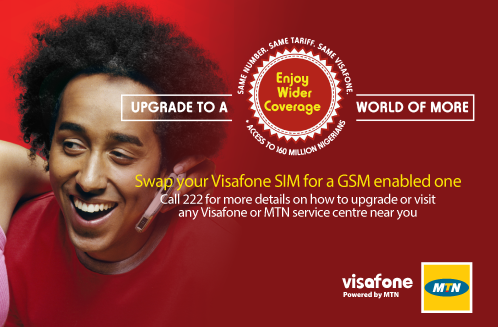 ==> Using the volume buttons as navigation buttons and the power button as the OK button, navigate to Apply Update From SD Card > Select the earlier saved file and if asked to confirm, select yes/OK and the upgrade should begin. Please be patient as this might take quite some time. When upgrade is complete, you’d get a message saying install from sdcard complete. 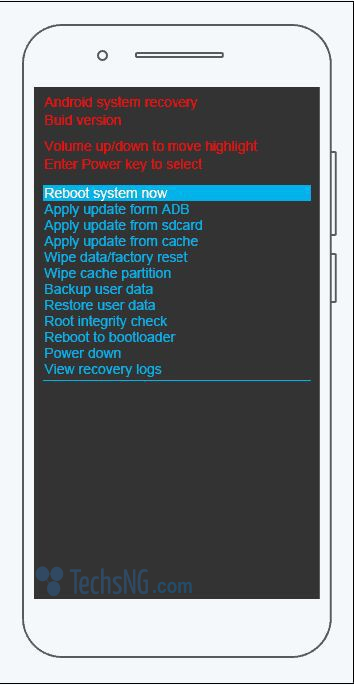 Using same power button, choose to reboot and when reboot is finally completed, you’d realize your tecno Camon C8 is running on HiOS powered by android 6.0 marshmallow OS. Alright so where exactly is the root directory found in an SD CARD? Sorry for the slow response Michael, the root directory can be termed as the homepage of the SD Card. What the context in the steps present in the post entails is, save the file in the root directory (homepage) and not in any folder on the sdcard. You understand now?